Siena Condos will Consist of 79-unit luxury units on Traveler Street in Boston’s South End Ink Block neighborhood. 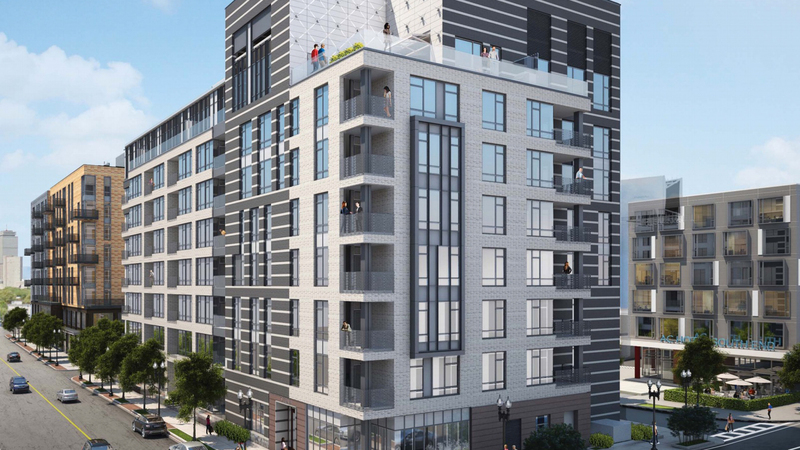 Siena will be the second luxury condominium building, the sixth building in total, emerging from the ground up in Boston’s fastest growing neighborhood, Ink Block, a South End six-acre mixed-use neighborhood. The building will feature 14 to 16-foot ceilings, private street level entrance with 24 hour concierge services on-site. Condos will range in size from 579 to 1859 square feet. Studio, 1 bedroom, 2 bedroom and 3 bedroom layouts are available. Units will have hardwood floors, wool carpet in bedrooms, Bosch appliances, Quartz countertops, modern European finishes and private terraces. Condo sales are underway. Completion date is late 2018.